> blueconic > Monetizing Online Engagement: The new rules of the marketing game. The market has accepted the new rules of the marketing game, giving the individual customer more control than ever. Trends like social media and co-creation, ongoing individualization and the splintering of the Internet bring new opportunities for online marketing. - correct sales attributions for your campaigns. 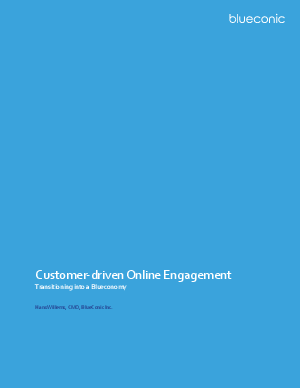 Customer-driven Online Engagement plays in to these trends and for the first time truly puts the needs of the individual customer central in all online communication. Download the White Paper and start engaging now!